It is definitely an additional cost, but property inspection is one extra expense that you should not ignore if you are buying a house. It can be tempting to close the sale quickly if you are searching for that perfect property and you finally spot one that suits your requirements. Whether you are investing in that property or you intend to live in that property, a thorough check of the premises from top to bottom is a must. In the end, you could save thousands of dollars and avoid troublesome issues. When it comes to real estate properties, looks can be deceiving. If you are making your rounds to find the perfect home worthy of your investment, you may find some perfect looking properties during your search. But what is inside is much more important. The outer paint may make the house look like it is new, but what about the foundation? What about the posts? Are there timber stumps underneath? If so, what makes you so sure that they are not being infested by termites? 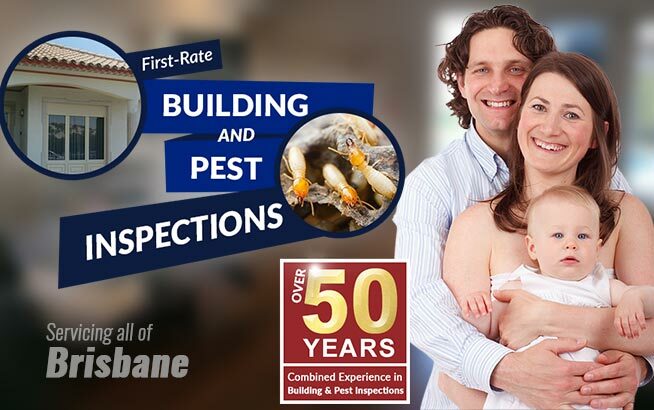 Invaluable pre purchase pest inspections can help you find the right home. 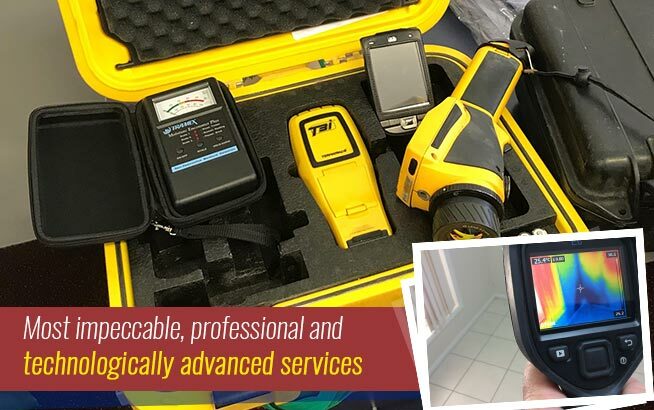 Our inspectors at Twinspectors make use of only the best technological devices ranging from borescopes to advanced thermal imaging tools to check any problems that may exist on the property. 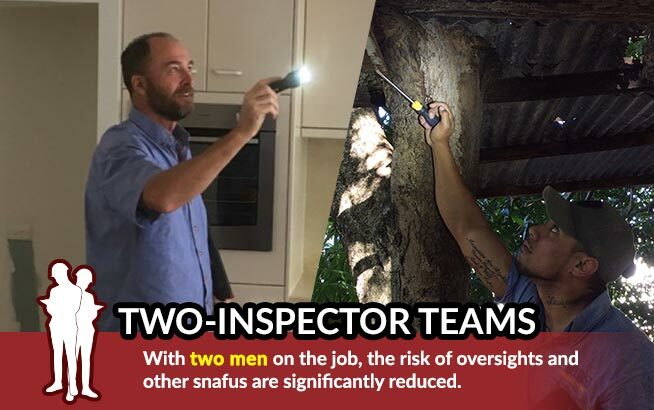 When we do the building checks, we send out two-man teams for the best result. This two-inspector team system is guaranteed to yield more accurate results as dual checking can help avoid oversights. Not conducting a thorough building check can be disastrous. The house can look good on the outside, but may be rotting inside. Just some of the possible problems with the building include faulty plumbing, termite infestation or rotting floorboards and foundations. 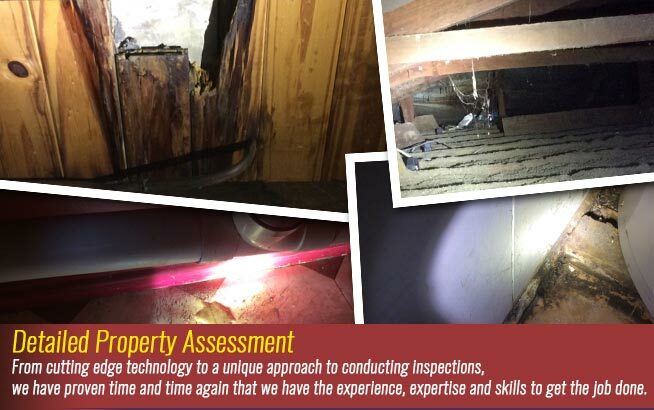 These problems are not readily obvious when you look around the property, but with our service, you can know if such serious problems do exist. If you happen to purchase a house with serious problems, you will end up spending thousands of dollars for repairs. If the house is suffering from termite infestation, there is the likelihood of replacing foundations or stumps that have been affected. 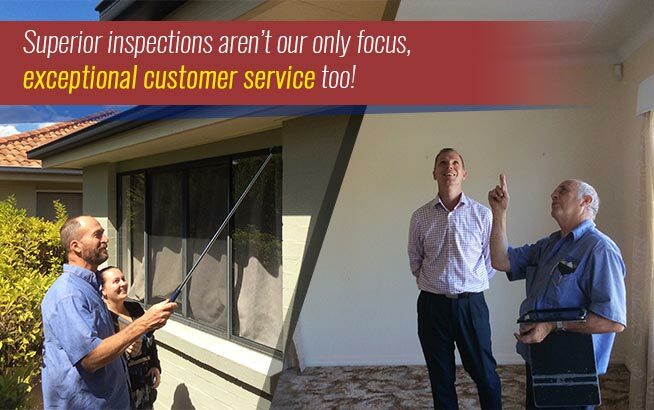 Hiring the services of our building inspectors at Twinspectors is one of the best first steps in avoiding unnecessary risks. It is not wise to fall in love with a home right away. That could spell trouble for you. Before committing to purchasing a home, make sure that a complete inspection is done first.